MAYORAL CANDIDATE Chaka Fattah touts the national GEAR UP program as his crowning legislative achievement - proof of his commitment to education and his ability to get a major bill through a Republican Congress. Since 1999, the legislation has provided roughly $2 billion in grants to help low-income middle-school students go to college by offering them more advanced courses, providing tutoring, taking them on college visits, paying for their SATs and educating them about financial aid. John Baer | Mayor's-race riddles: Why do the qualified lag? But a review of the first six years of GEAR UP - which stands for Gaining Early Awareness and Readiness for Undergraduate Programs - in Philadelphia raises questions about how effective the program has been for kids locally. The study - by West Philadelphia nonprofit Research for Action - found that although many GEAR UP participants did take advanced math classes and visited colleges, they also suffered from high dropout rates and were often academically unprepared for college. Fattah defended GEAR UP, saying it had increased the number of students in algebra and geometry classes - both considered key to college attendance - and helped educate students about their college options. "I think this study shows that there were significant increases in college awareness," Fattah said. GEAR UP is being phased out by the school district because the district has been unable to get continued federal funding. The Department of Education described the fight for merit-based grants as "very competitive." The local GEAR UP program received about $37 million in federal grant money between 1999 and 2006, and served up to 18,000 students each year. Per-student funding started at about $800 a head, but decreased as the number of participants grew. Even though the program is ending, some aspects of it - such as paying for the SAT and taking students on college visits - have been adopted by the school district. Lauded as an ambitious educational effort, GEAR UP was supported and praised by President Clinton when enacted. Fattah based GEAR UP on small, private initiatives such as "Say Yes to Education," in which philanthropist George Weiss promised a group of inner-city Philly kids free college education. The premise is that if low-income kids know college can be a reality, they are more likely to stay in school, graduate and go on to higher education. Karen Boran, director of research and evaluation for Chicago GEAR UP, said GEAR UP can be crucial to a child's future. "If a kid doesn't drop out of school and manages to take more rigorous coursework, and they go on to [college] . . . you're changing people's lives," said Boran, who is based at Northeastern Illinois University. Still, Boran and other GEAR UP directors said they face an uphill battle because the program deals with the most at-risk kids when they have already reached middle-school age. They also said that six years was a very short time to affect any real cultural change. "It doesn't surprise me that we continue to struggle," said Laurie Ballering, GEAR UP director in Houston. "The whole system needs to look at itself and say, 'How are we going to make it work?' "
According to the study by Research for Action - an education-evaluation group founded in 1992 that lists Pew Charitable Trusts and the Annenberg Foundation as funding sources - the first six years of GEAR UP in Philadelphia were plagued by poor organization with the school district. The students suffered from high dropout rates and low standardized-test scores. "Data on student outcomes are mixed, but indicate that many GEAR UP students will not be academically well prepared for college," the report states. Donna Frisby-Greenwood, director of the School District's Office of College and Career Awareness, said some of the organizational problems were due to the state takeover of the schools, which caused administrative changes at many of the high schools and middle schools in the GEAR UP program. The report did say that GEAR UP had increased the number of students visiting colleges and the number taking the PSAT and SAT exams. Data on whether GEAR UP had increased the number of students attending college were not available, but reviewers said it appeared likely. "I absolutely think that there are students in those schools that went to college because of GEAR UP," said Frisby-Greenwood. "Did we see the sweeping reform or change we had hoped? No." GEAR UP programs in Chicago and Houston, which did win new federal grants, also saw only moderate improvements in test scores. Like Philadelphia, those programs increased the number of students in advanced classes and the number going on college visits. Fattah said he recognizes that the program needs tweaking and expects to reauthorize a new version of the program. The revised GEAR UP would start working with kids at a younger age and follow them into the first year of college, which can be a vulnerable time. He also said that he has tried to further help Philadelphia schoolchildren go on to college through his CORE Philly scholarship program, which provides "last dollar" grants for city students. "There's no person in this city who has put more kids in college or graduate school than me, period," he said. Although the Philadelphia School District's funding for GEAR UP has run out, about 7,500 students who were already in the program have continued to get GEAR UP support under grants awarded to the state. But the district said the state-funded GEAR UP will end locally next year. The district applied for new six-year federal funding in 2005 and 2006 and did not make the cut either time. Applications must show the need for the programming and the quality of the services offered. 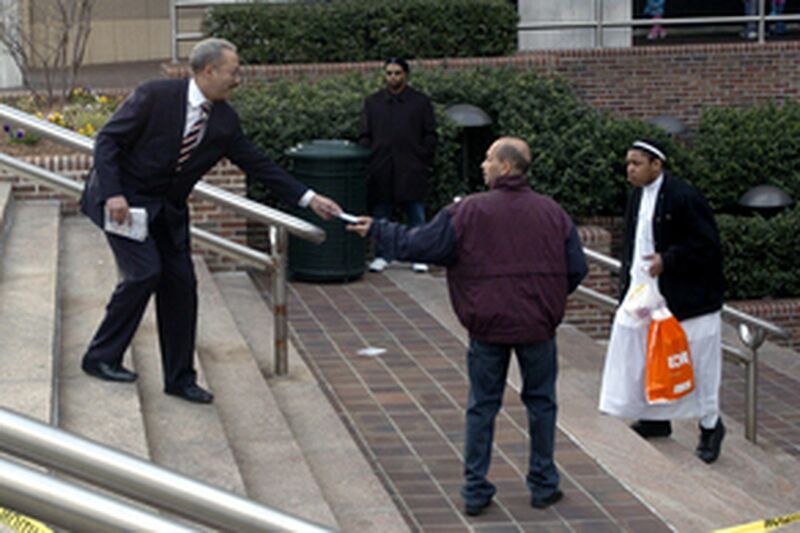 Fattah said that the lack of renewed funding was not his fault.